IFPA aromatherapy courses are growing in popularity both amongst those looking to enhance the homeopathic services they offer and among other health professionals who want to add value to their services. But what is the IFPA and why does it matter if the clinical aromatherapy courses you are considering are regulated by this organisation? IFPA stands for the International Federation of Professional Aromatherapists. It is the largest professional practitioner organisation in the UK aimed specifically at aromatherapists. Its aim is to support aromatherapists in their practice and improve standards of education and practice within aromatherapy. It is possible for anyone to produce a course promising to teach you the fundamentals of aromatherapy. This means that the quality, depth and breadth of the courses on offer nowadays varies widely. It also means that if you don’t choose your course carefully, you could pay a lot of money for something that is of little to no value, and which is potentially damaging to your practice. Choosing IFPA accredited aromatherapy courses avoids this problem and gives you the peace of mind that you have a professional body to resort to if things do not work out as planned. Of course, it is easy for any course supplier to claim they are offering a high-level course. To ensure that the course being offered is an IFPA aromatherapy course, you need to carry out a few checks of your own before signing up. Firstly, look for the IFPA name and logo on the course provider’s website. This is an indication that the school is working with the IPFA to uphold certain standards of teaching. You can also check with the IFPA to ensure that the school is able to offer IPFA accredited courses, even if they are not yet listed as an accredited school. The first thing you can expect from IFPA aromatherapy courses is high quality teaching that fits your needs specifically. This means that the provider should offer a range of courses and diplomas. You should also expect courses to provide more than simply a list of oils and their uses. 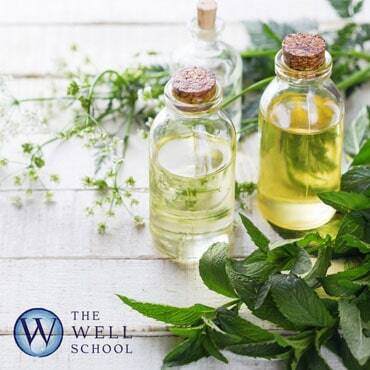 Courses that are IFPA approved should provide suitable background information, such as the history of aromatherapy and how it fits into the broader range of holistic therapies; and the philosophy that underpins holistic therapy and healing. Courses should provide suitable case studies and, where appropriate, practical experience for you to be able to put your learning into practice. You should be able to contact course leaders; raise questions and concerns; and learn at a pace that suits you. Finally, you should expect to be tested on your learning. This is vital if you are going to use what you have learnt in your existing practice or build your own business and client base. If you are looking for the right IFPA accredited course for you, then come to us at The Well School. We offer a range of IFPA aromatherapy courses including clinical aromatherapy and practical courses that include massage. Our courses are designed to meet your needs and improve upon your existing knowledge and experience. Once you have explored the different course options, if you have any questions you can reach a member of the team on 01280 875405. Alternatively, leave your contact details and a short message on our contact form at https://www.thewellschool.co.uk/contact-us/ and we will get back to you.